Don't search for a celebration. Just make your own. 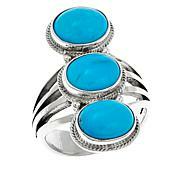 If this delightful blue isn't something to throw the confetti over, then we don't know what is! 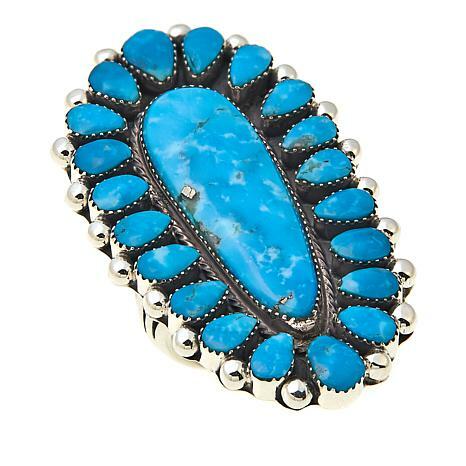 The Kingman turquoise cabochons clustered together in this ring were destined to burst out of their shells at some point right? What better time than when they're out with you? 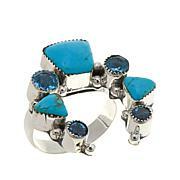 This ring is big and bold! 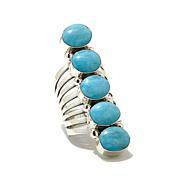 Looks good on any finger. Runs true to size for me. 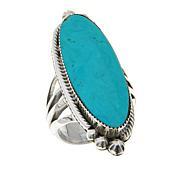 Love this ring the blue of the turquoise is stunning highly recommend.